Beyond Counting Calories.... 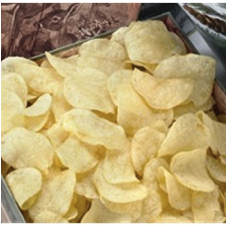 Guess What Has More Salt: Oatmeal OR Potato Chips? Looking for a Snack? The Devil Is In the Salt! We are constantly looking for ways to quench our mid-day hunger pangs. However, as we consider snack ideas, we get so caught up with calories and fat that we forget to look at another important component: salt! As this article by the Harvard School of Public Health mentions, high salt intake can increase blood pressure and chances of stomach cancer. Given these effects, it’s important to track how much salt we consume. 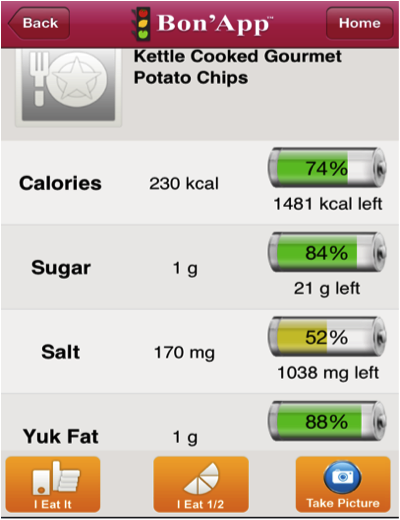 Those two snack items illustrate the importance of looking at the salt (sodium) level in your food. Both these snacks are hugely popular but most often, we don't look at what’s in them. 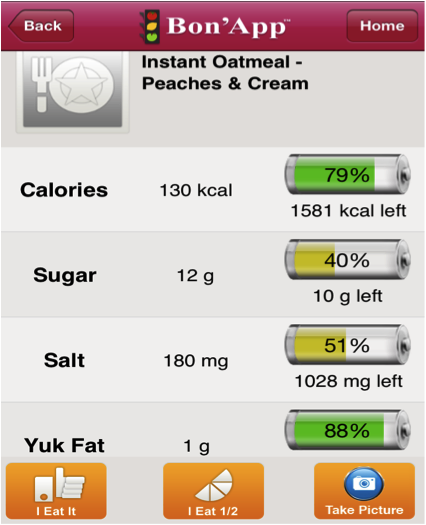 Using Bon’App, we decided to look into their calorie, salt, sugar, and fat levels. What’s In Them? They Fault on the Salt! 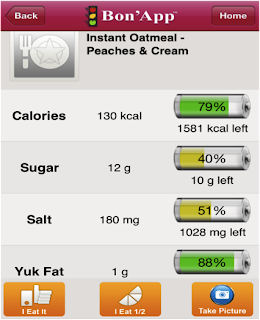 If you are looking at calories only, then you go with the 130-calorie instant oatmeal since a packet of UTZ kettle potato chips has a much higher 230-calorie count. However, it’s important to look at the sodium levels, since both these items proved to be very high in salt, with over 150mg in a single serving. 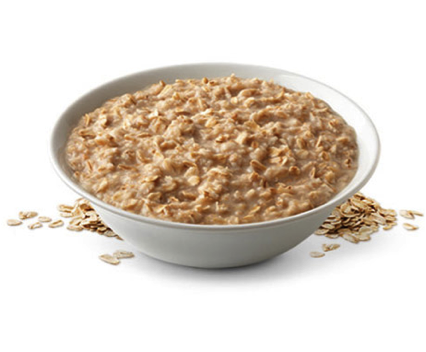 What was most surprising to us was that the instant oatmeal actually had more salt in it than the potato chips: 180 for the oatmeal vs. 170 for the chips! 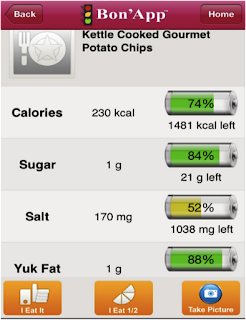 So before you take a bite of your next snack, make sure that you check Bon'App for the salt level in it.